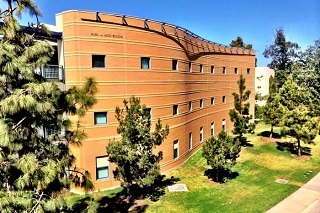 The Department is located within the Claire Trevor School of the Arts campus. The Music & Media Building (MM) contains the Department Office and most faculty and staff offices, teaching studios, and classrooms, as well as rehearsal spaces, several practice rooms, a percussion studio, a keyboard laboratory, and various other specialized spaces. Additional practice rooms are located in the Mesa Office Building (building #59 on campus map). The Arts Instruction and Technology Resource Center (AITR) contains a large choral and orchestral rehearsal studio. Located on the second floor of AITR, the Arts Media Center (AMC) comprises the central music reference and technology resource in the Claire Trevor School of the Arts. This modern facility iis equipped with CD, phonograph, VHS, DVD, DAT, laserdisc, six-station Mac lab, a Dance/AV Room and quiet study and listening areas. The AMC houses an extensive collection of classical, jazz, and world music audio and video recordings, including more than 3,500 CDs and 7,000 LPs, as well as musical scores, video recordings, laserdiscs, and CD-ROMs. The facilities include a scanner, laser printer, and four music workstations with MIDI keyboards. Users employ computers and state-of-the-art music technologies for composition, notation, musicianship, laban notation, basic graphics, networking, data communications, writing, and interactive technologies. 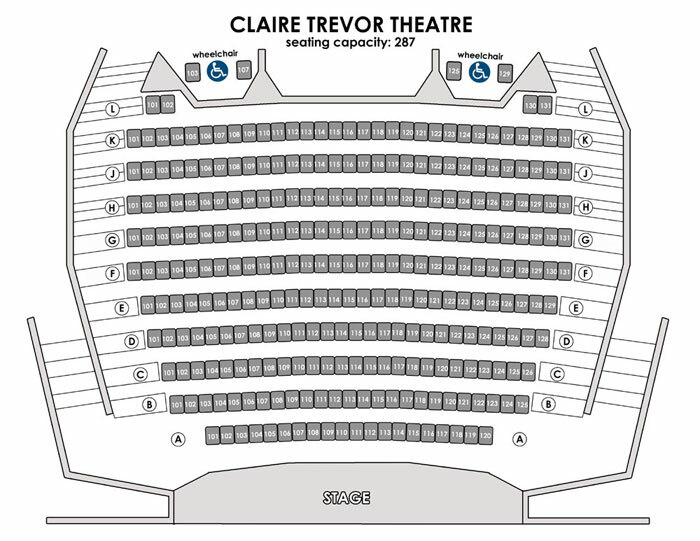 The Claire Trevor Theatre seats approximately 400 patrons and is the largest performance space in the School of the Arts complex. The Trevor Theatre is used for choral and orchestral performances, as well as for performances of opera and musical theater. 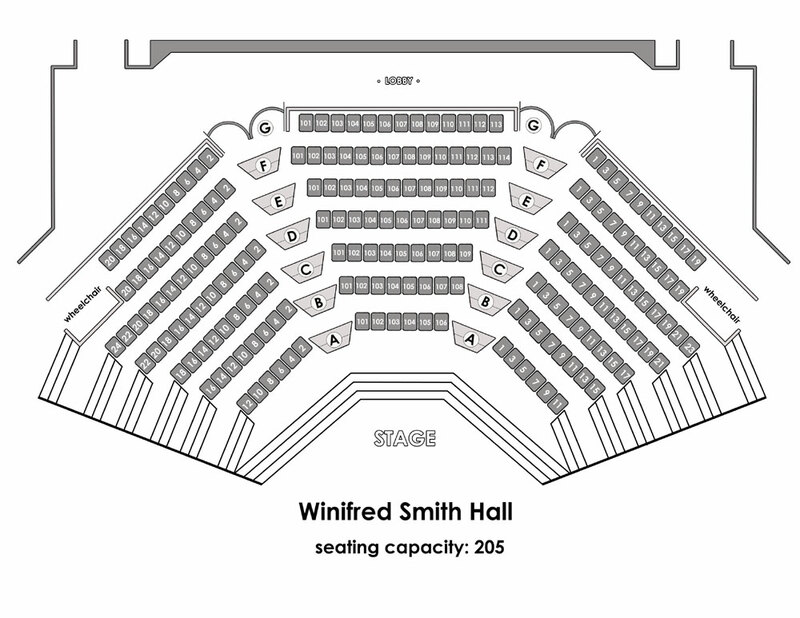 Winifred Smith Hall, named for one of the Department's most generous donors, provides an intimate recital space with seating for approximately 200 patrons. Smith Hall contains the Oberbergen Pipe Organ and a nine-foot concert grand piano. Home to the annual Chamber Music Series, the facility is also used for student recitals and various other small-group performances. 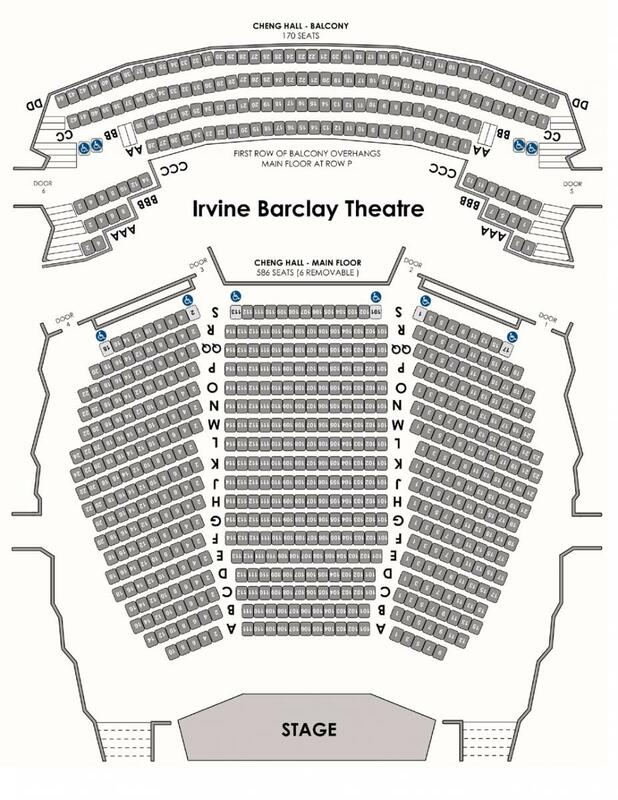 The Irvine Barclay Theater, located only a few minutes' walk from the School of the Arts complex, is a joint venture of the University and the City of Irvine. Each year the Department schedules several events in this beautiful facility, including selected performances of the University Symphony. The Gassmann Electronic Music Studio, located in 20 Mesa Arts Building, is a state-of-the-art Macintosh-based studio for digital recording and MIDI composition. The REALab (Realtime Experimental Audio Laboratory), located in 216 Music and Media Building, is a laboratory for research and creative activity in the use of computers in live musical performance, including realtime audio processing, sound spatialization, networked performance, interactivity, and alternative computer-mediated instruments. The Beall Center for Art and Technology supports research and exhibitions that explore new relationship between the arts, sciences, and engineering, and thus promote new forms of creation and expression using digital technologies. The Beall Center aspires to redefine the museum/gallery experience, both in content and form, suggesting answers to the question of how technology can be used effectively, not only to create new forms of art, but also to connect artist to artist, and artist with audience.